Nehru Jackets are a staple in every man's closet. 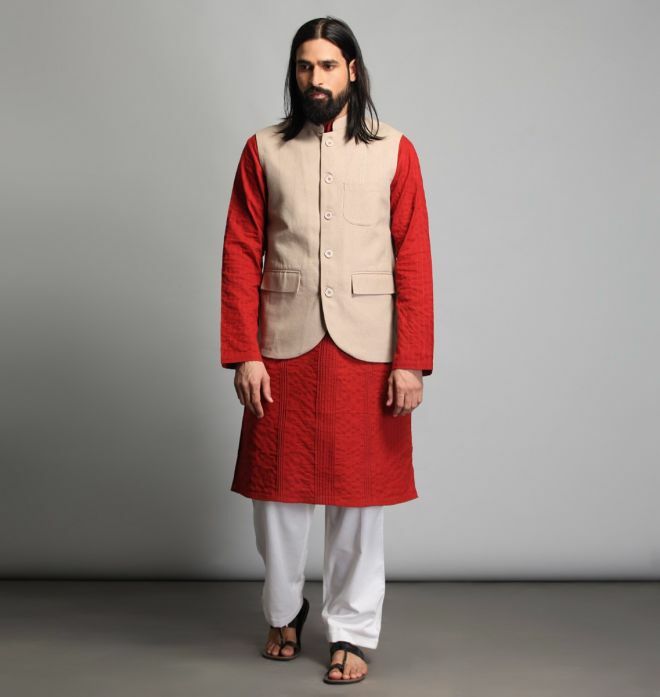 This beautiful, hand-spun cotton neutral coloured Nehru Jacket is a classic item. The fit is casual, yet formal. The pockets on the sides adds character.